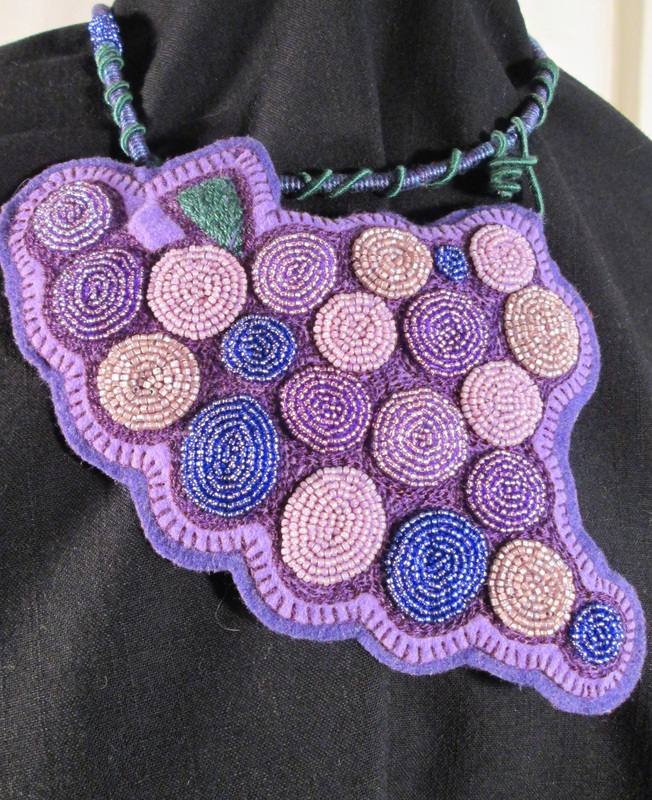 Beaded grape necklace. 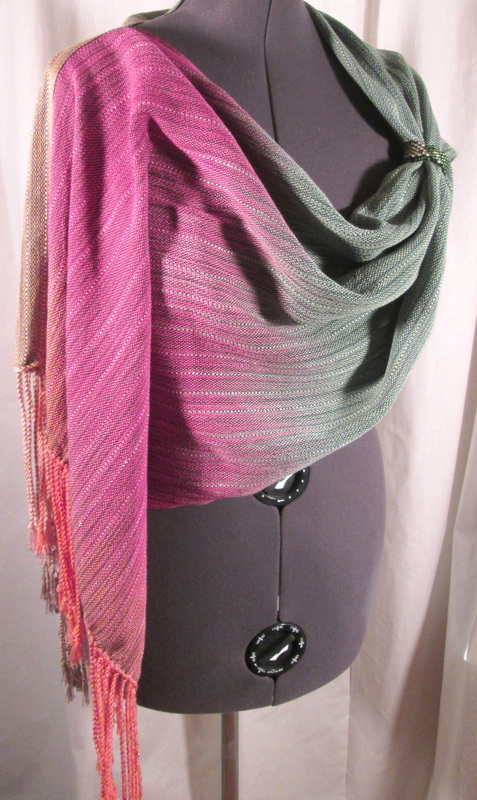 Wrapped cord adjustable neck and wrapped wire vine. 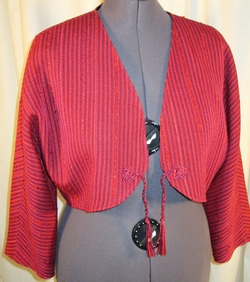 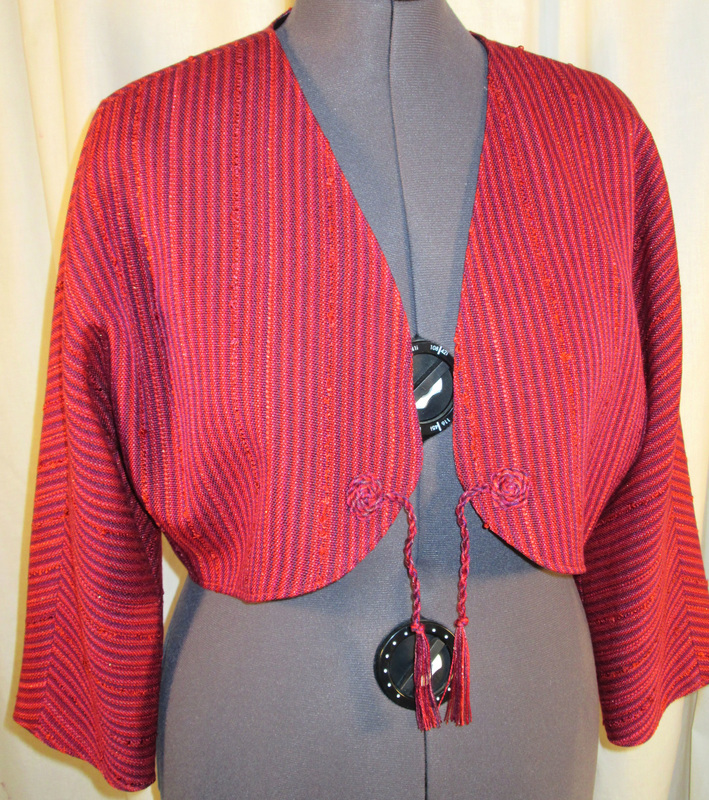 Jacket made with tencel, cotton, merino silk blend, and hand painted rayon loop and metallic. 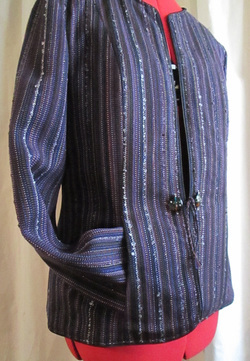 Hidden pockets. 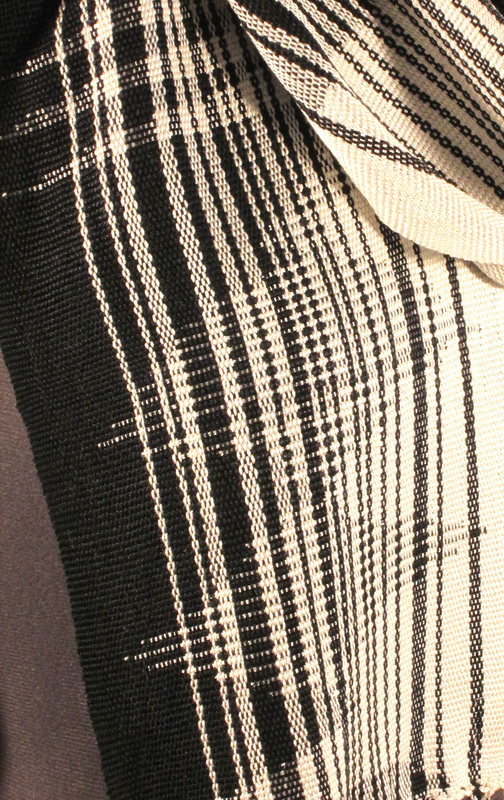 Small welt at edges with glass bead and twisted yarn closure. 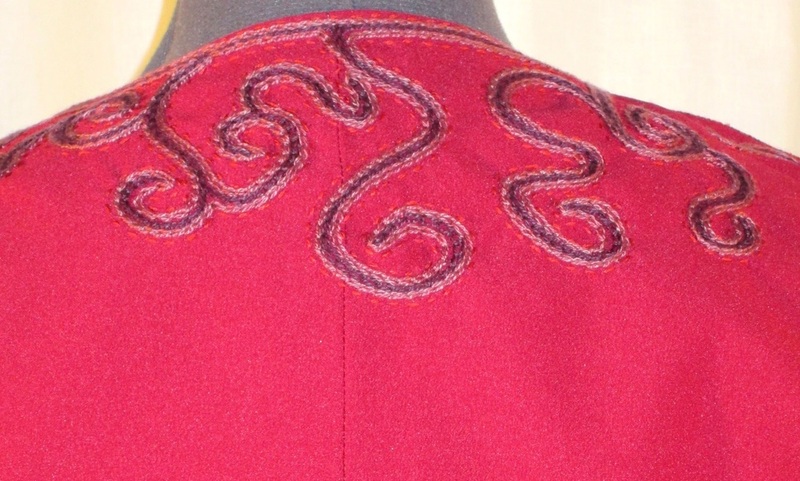 Size 6/8. Hand painted cotton and tencel Autumn poncho. Bolero back hand work view. 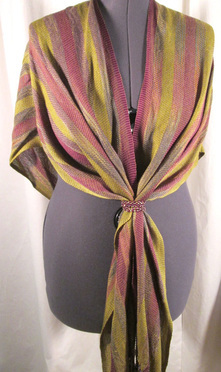 Shoulder wrap, hand painted sock yarn and tencel with covered ring and scarf cuff. 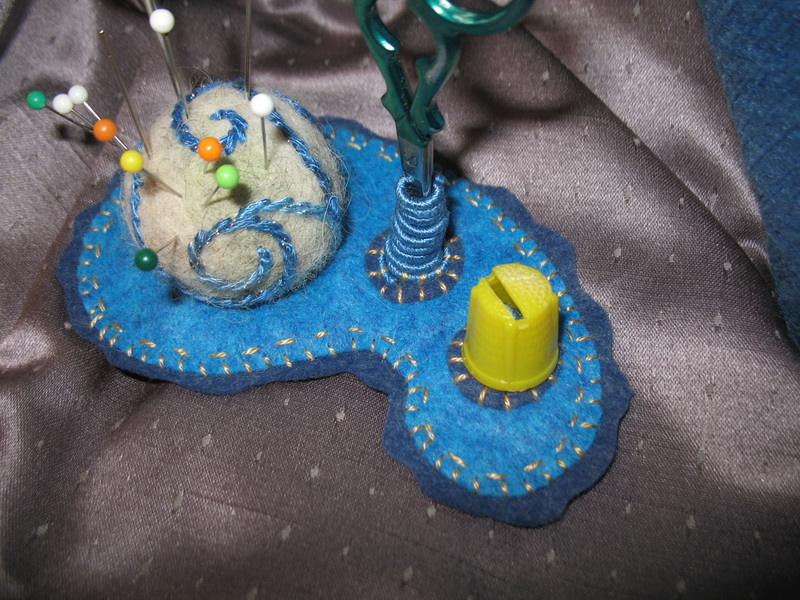 Pin cushion, wet felted, embroiderd alpaca with wrapped wire scissor and thimble holder. Topper in tencel and accent yarns. 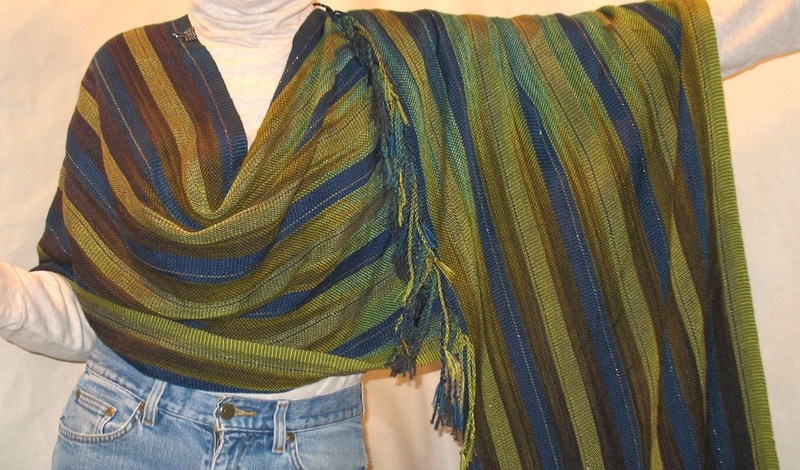 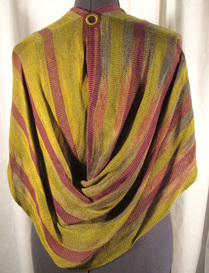 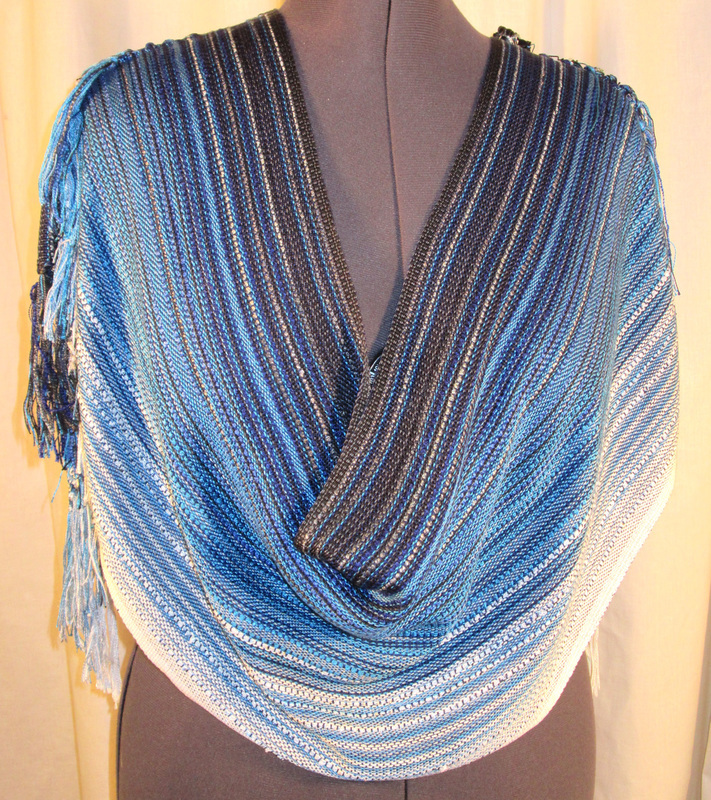 Drape poncho, hand painted sock yarn and tencel.